The leveling instrument is an inherent part of surveying and levelling since devoid of instrument, the survey can’t be performed. Levelling Instruments used in Surveying. With levelling instruments, the relevant heights of different points on the earth’s surface can be found. A level basically comprises of a telescope to which a bubble tube is connected in such a manner that the axis of the bubble tube and the line of collimation of the telescope remain parallel to each other. The instrument comprises of levelling screws by which the bubble tube is placed at center position, and the line of collimation is arranged to a horizontal plane. 3. level or bubble tube;. The Leveling head generally contains two parallel plates and the upper plate is supported over the lower plate with three or four-foot screws or leveling screws and these facilitate the instrument to be leveled easily. Most of the modern Levelling instruments contain three-foot screws so that they can be easily leveled. The telescopes utilized in surveying instruments comprise of metal tubes that moves axially within the other. (2) the internal focusing telescope. Most of the levelling instruments in recent times are developed with internal focusing telescope. The purpose of the level tube is to modify the instrument temporarily. If the modification is not done properly, the entire survey process is affected. 1. 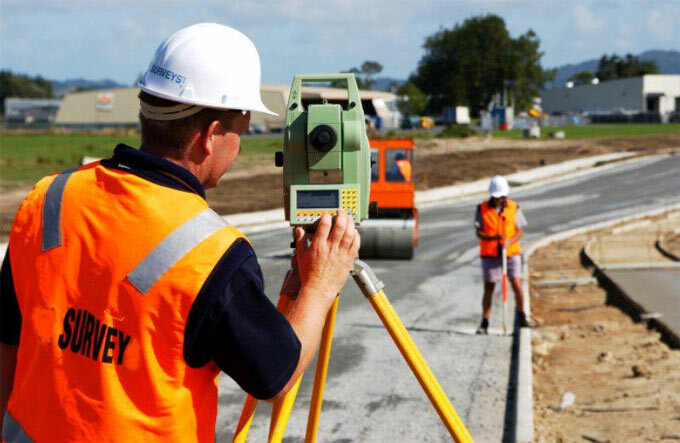 Dumpy level: In the modern form of Dumpy level is also known as “solid Dumpy level”, the vertical spindle and the telescope are firmly attached in order that the telescope can’t either be rotated about its longitudinal axis or eliminated from the supports. This levelling instrument has good stability as compared to others and maintains its permanent adjustment for a prolonged period. 2. Wye or Y level: In this instrument, the stage bears two “wye” supports in which the telescope is set. The telescope is rotated about its longitudinal axis, or it can be ejected and arranged end-for-end in the wyes. A clamp and a tangent screw are arranged to allow proper sighting of the objects. It is a very delicate instrument and comprises of a huge number of loose and open parts. Because of the reversibility of the telescope, the instrument may be examined for permanent adjustments. Comparison among the Dumpy and the Wye levels, The Dumpy level is perfectly fit for field work as compared to the Wye level since the Wye level is not as compact as a Dumpy level. The Dumpy level is more trustworthy because of its solid and inflexible construction. The benefits of a Wye level are that the same is examined for the permanent modification quickly and the modification can be produced indoors.